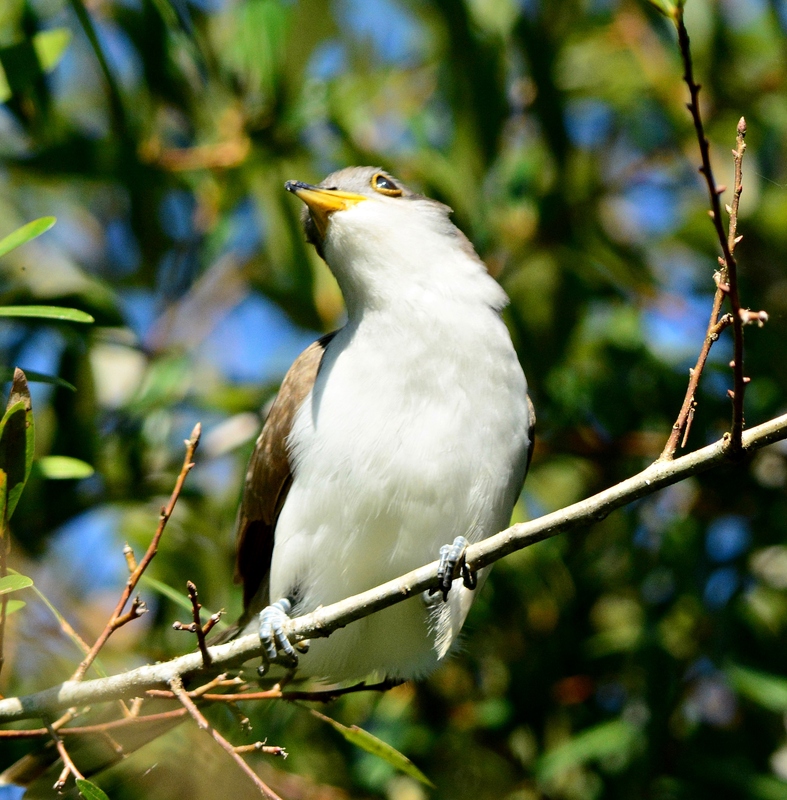 A rare yellow billed cuckoo high up in the tree. Either a female or immature prairie warbler. Hiding in hole. I was wondering if they nest in this hole. Some of the shorebirds close to the trail, a ruddy turnstone and a black bellied plover. I stopped by the fishing pier before heading home. Far across the bay near Egmont Key. Sailing past the pier, this old sailboat reminded me of my dad. He would have loved that boat. I turned it into a black and white photo so it would have looked like something he would have taken many years ago. An early summer walk at Fort Desoto. Summer tanagers were posing for the crowd. Black and white warbler with a bug. Redstart hiding in the shadows. Blue gray gnatcatchers eating bugs. 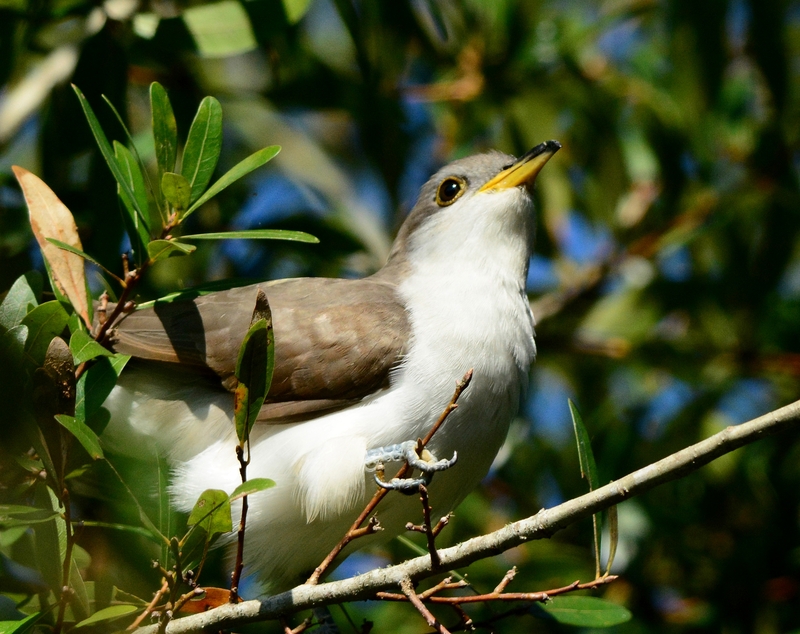 A rare yellow billed cuckoo was the star of the day. I had seen one once before at Circle B Bar Reserve but there were many birders there that had their first sighting of one. He was high up in the tree but everyone was able to get a good shot. The one of many palm warblers that hang out here in the winter. White eyed vireos will be common to spot this winter. 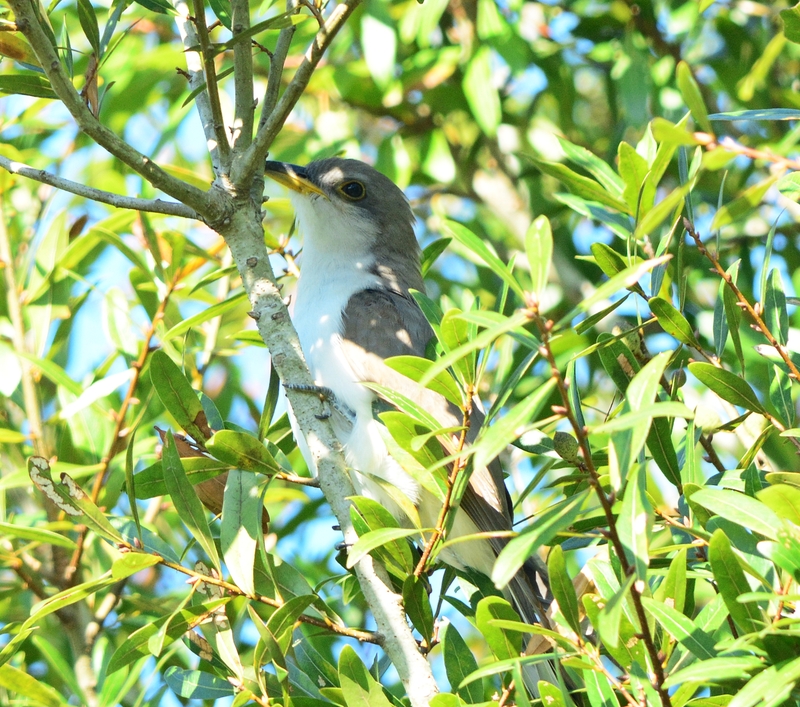 I was told the two above were Nashville warblers. Can anyone confirm? 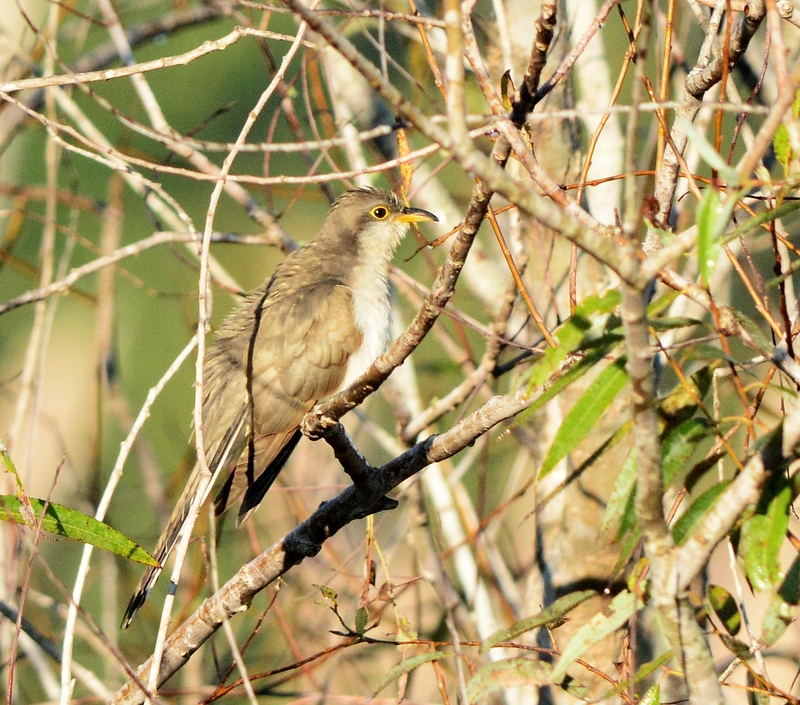 A brief glimpse of a Tennessee warbler. My first Philadelphia Vireo. 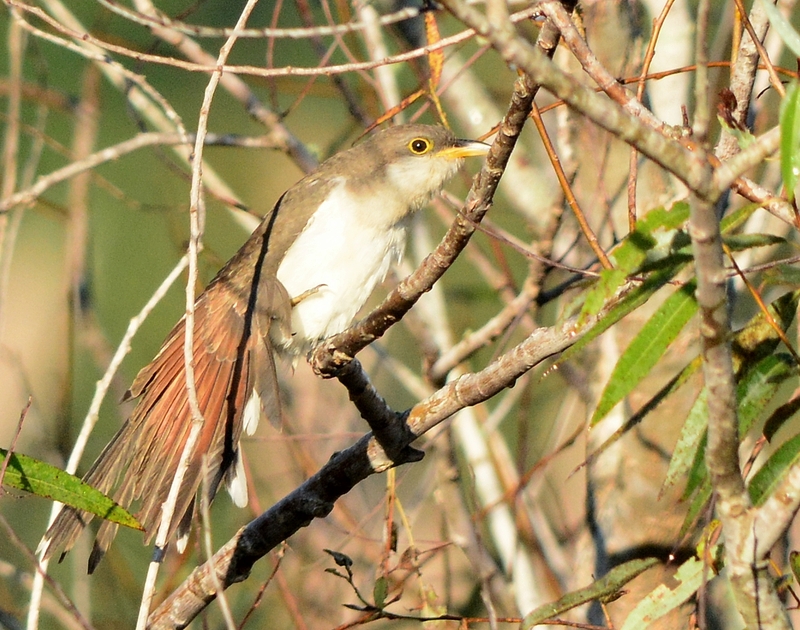 He was hanging around the cuckoo. “We got fall out!” was the term used on the bird forums. 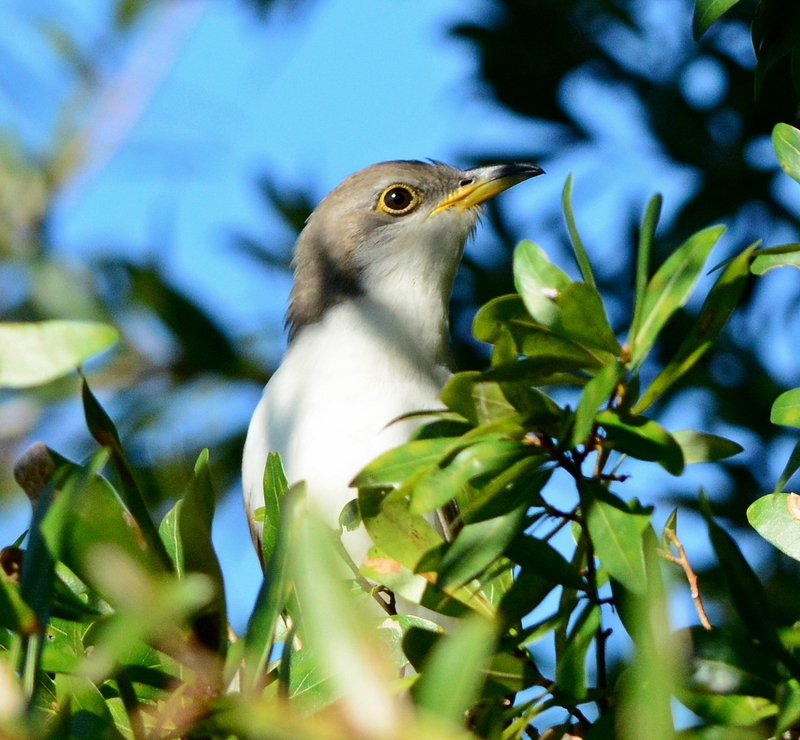 Fort Desoto Park was covered in birds that had stopped for a rest on their way south for the winter in early October. I got to the park around 8am and many people already looking up in the oak trees at the picnic area. 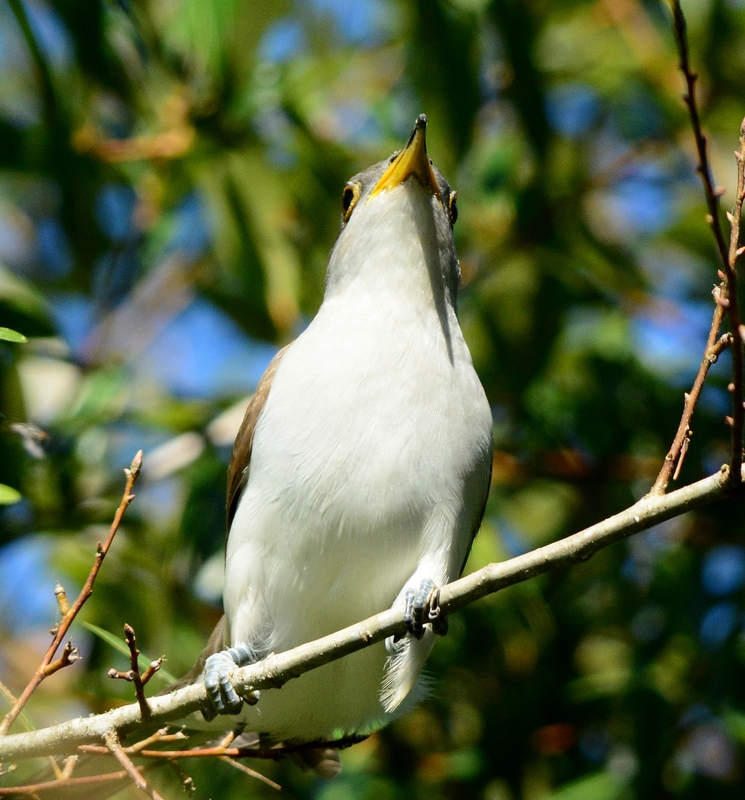 I spent several hours taking tons of pictures and had “warbler neck” from staring straight up into the trees for so long. A nap after lunch got rid of that. It’s not often you get a day where you can stand under a tree and see so many different birds. 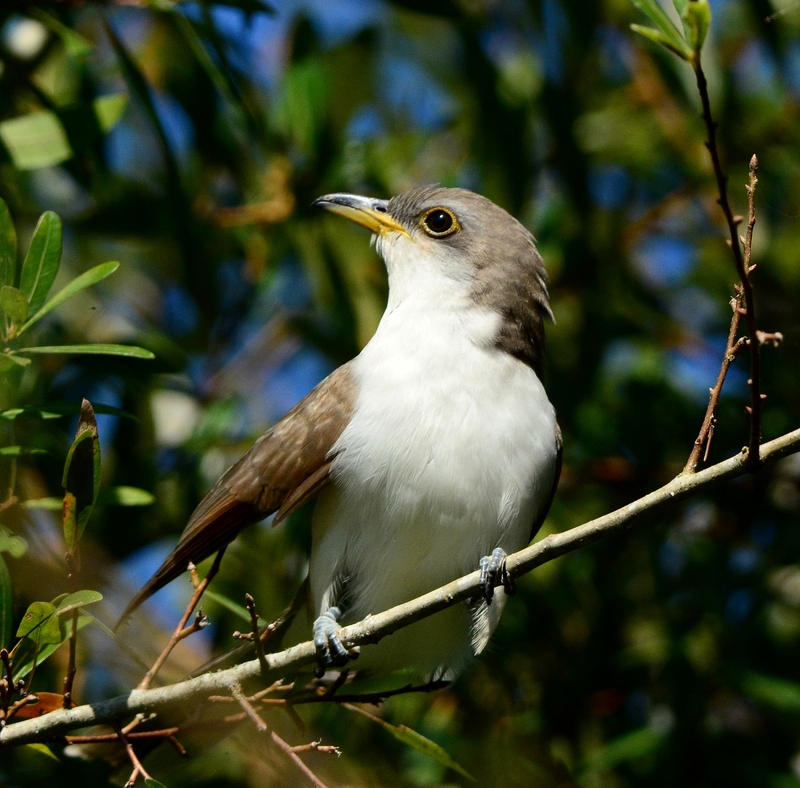 So I’m standing in the “Bar” when a man walks up and says “You wanna look at my cuckoo?” The real story – I started walking down the trail at Circle B Bar Reserve and this nice man with a scope stopped me and said “I have yellow billed cuckoo in my scope.” I had never seen one before even though they are often spotted at Fort Desoto. He was so well camouflaged in that bush. How did he see that bird so far out in the marsh. He said he saw something fly in and was able to get it on the scope. The first two pictures are from that bush and are extremely cropped. I thought to myself “The rest of the day is gravy!” Later in the day, I had one fly into a tree right in front of me. Could it have been the same bird I saw that morning or another one? He moved around the tree a few times but then came out and posed for me for a while. It’s always feast or famine. 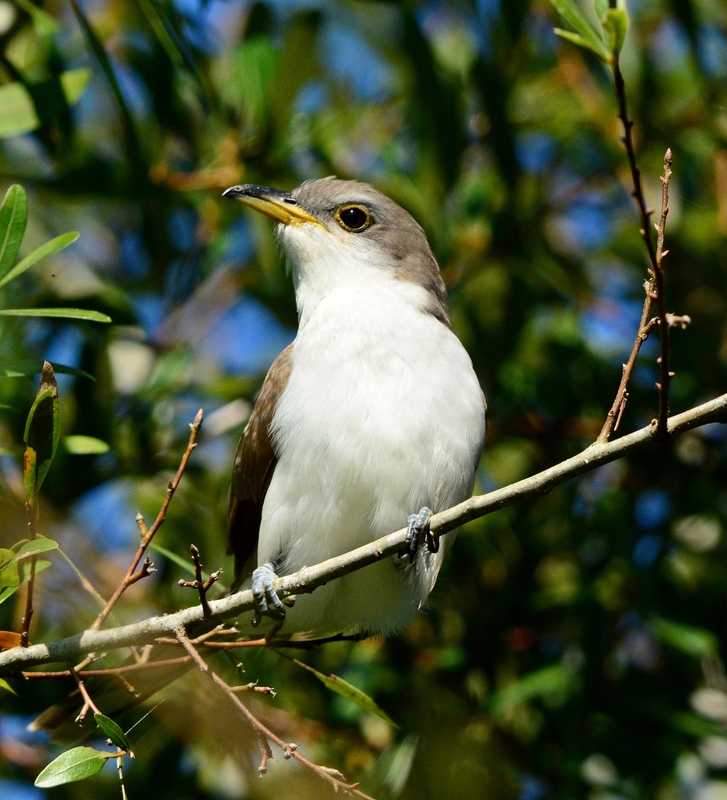 I have looked for this bird so many times at Fort Desoto with no luck. This is one beautiful bird.